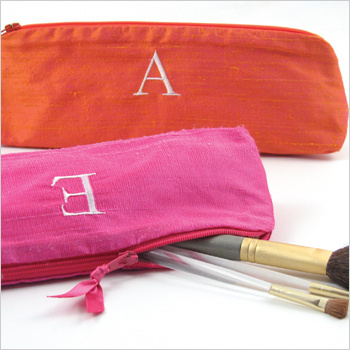 Elegant dupioni silk travel accessories are accented with satin ribbon and available in all our signature accessory shapes. 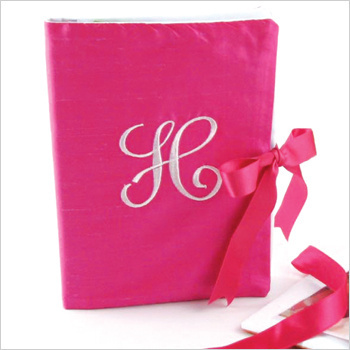 Personalization is complementary on any of our products. Crafted with care, all bags are lined in our unique water repellent fabric. 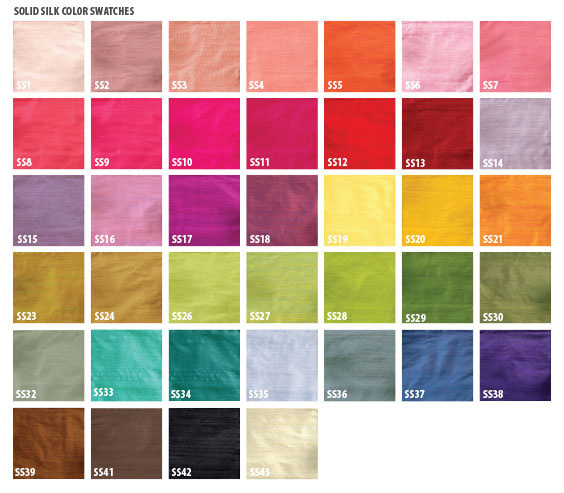 Select from over 40 amazing colors. Made in the U.S.A by Objects of Desire. 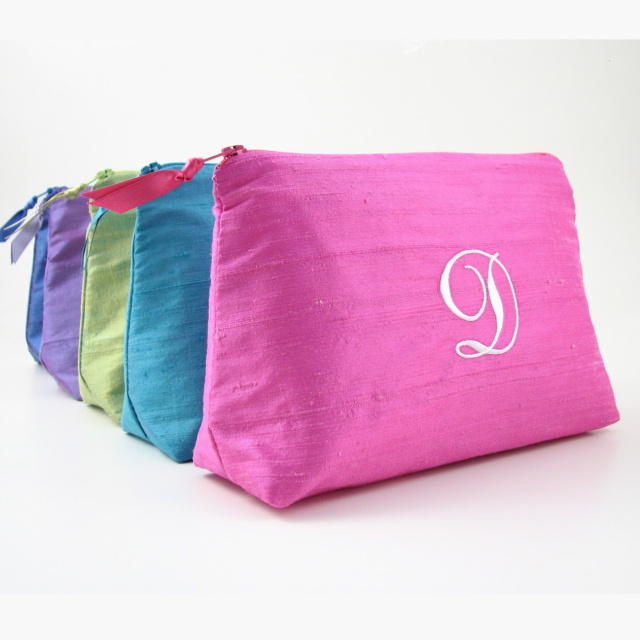 At Objects of Desire we us imported dupioni silk and silk shangtung for our solid silk travel accessory collection. 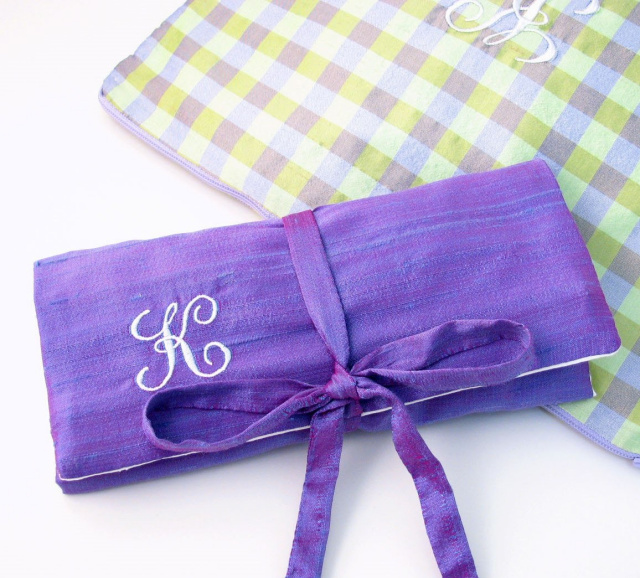 This beautiful fabric is hand-woven into dozens of colors making this collection one of our customers favorites. 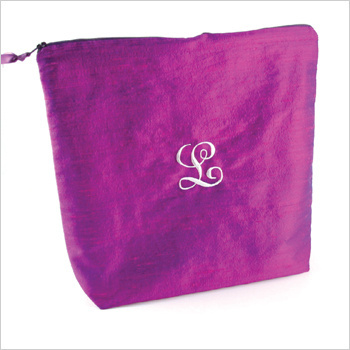 Select from our trademark designs; cosmetic bags, jewely rolls, lingerie bags, eyeglass cases, coin purses and more, all in solid silk. 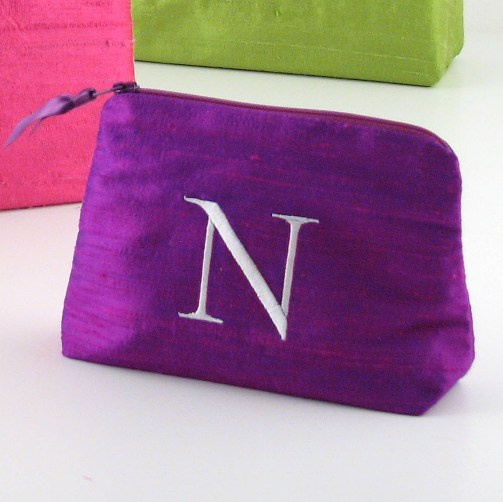 We pay close attention to our silk collection by adding unique details like elegant satin ribbon zipper pulls and waterproof fabric linings to our cosmetic bags. 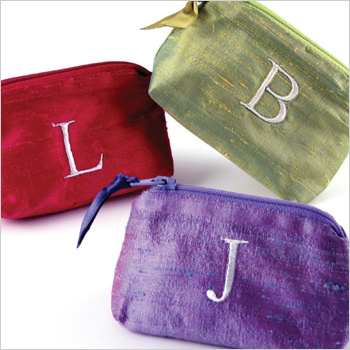 Silk eyeglass cases and jewelry cases will have a cotton quilt lining to keep your personal items safe and secure. 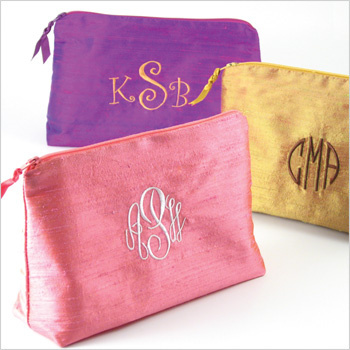 No detail is too small and quality is our number one priority as all Objects of Desire travel accessories are proudly made in the U.S.A.
Our personalized solid silk accessories are done pre-construction for a clean interior. 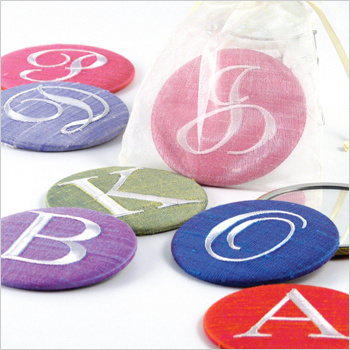 Unsightly embroidery threads are not an option with our personalized products.